This photo does not include the folks of minority races in Liberty Fellowship who were absent when the picture was taken. The various minority races in Liberty Fellowship number around 20% of the congregation. This is in an area of the country where combined minority races number around 3%. Plus, there are several mixed-race marriages in Liberty Fellowship. Anyone who suggests that Chuck Baldwin and Liberty Fellowship are racist is just flat lying. On August 19, 2017, the Idaho Statesman Newspaper published an article titled "Why is a church on list of Idaho hate groups with KKK, neo-Nazis?" It can be found here: http://www.idahostatesman.com/news/state/idaho/article168227847.html. Below is a response to that article requesting a retraction from the Idaho Statesman. The SPLC is a radical, left-wing hate group that makes millions of dollars from other left-wing extremists by vilifying the character and reputations of people on the right--especially the Christian right. Their methods and tactics are so dishonorable and dishonest that even federal police agencies no longer trust and use them as a resource. Your newspaper must mirror the far-left agenda of the SPLC or else you would not even quote them, because everybody except the left-wing media knows (but I’m sure you know this too) that the SPLC is a biased, liberal hate group. It is a blatant, bald-faced lie that neo-Nazis or white supremacists of any sort attend Liberty Fellowship. Minority races make up approximately 3% of the population in the Flathead Valley of Montana. Yet minority races make up approximately 20% of the Liberty Fellowship congregation. Not only does our congregation comprise many minorities, it contains several racially-mixed marriages. 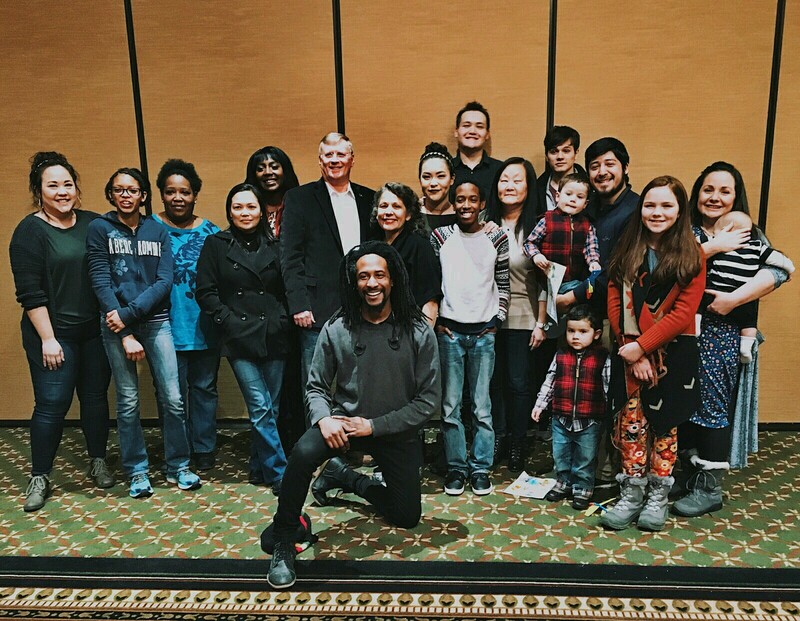 We are enclosing a photo of some of the people from minority races who faithfully attend Liberty Fellowship. Please understand that this picture does not include all the minorities who attend; it only includes the folks who were in attendance the Sunday the picture was taken. I have been a pastor for over 40 years. I pastored a Baptist church in the Deep South for 35 years. As in the Rocky Mountain Northwest, my church in the Southeast was one of the most racially integrated churches in the area. My track record regarding embracing racial diversity in my ministry is life-long and well-known. Your reporter could have discovered this fact in the briefest amount of time if he had had a smidgen of intellectual honesty. But typical of smear tactics common to left-wing newspapers such as yours, your reporter did not bother to contact me or my office for clarification as to the veracity of the SPLC accusation. This is obvious yellow journalism--and really not journalism at all as much as left-wing propaganda. I demand a public retraction of the malicious misrepresentation that besmirches me and Liberty Fellowship by implication, accusing us of being identified with neo-Nazis and white supremacists. I expect to see this retraction in a prominent place in your newspaper as soon as possible. This testimonial was given during the service at Liberty Fellowship on Sunday, November 15, 2015, by a young man who grew up under Pastor Chuck Baldwin's ministry. He also served on Dr. Baldwin's staff for several years.